If you have recently started a website or a blog, do you ever wonder where the traffic on your site comes from? In a perfect competition market, there are a lot of different places that are offering a similar product or service. In a market like this, it is important that you make yourself easily accessible and easily found. If you have entered the world of digital marketing to advertise your product/services, you are on the right track but always know that just entering the digital market is not the end of it. There is still a lot of competition to run with. This is why it becomes important that you keep your SEO (search engine optimization) game up and better than your competitors. When the average internet users require a product or service, they would search for it on Google, the most widely used search engine. Now it will depend on the quality of your SEO skills if they find you or your competition. Today we are going to discuss four simple ways that can help you boost SEO in 2019. It is important that you take a strategic approach while choosing your keywords. If I take for an example “search engine”, this keyword is too vague for a person to search for anything, it would just explain or show different search engines. 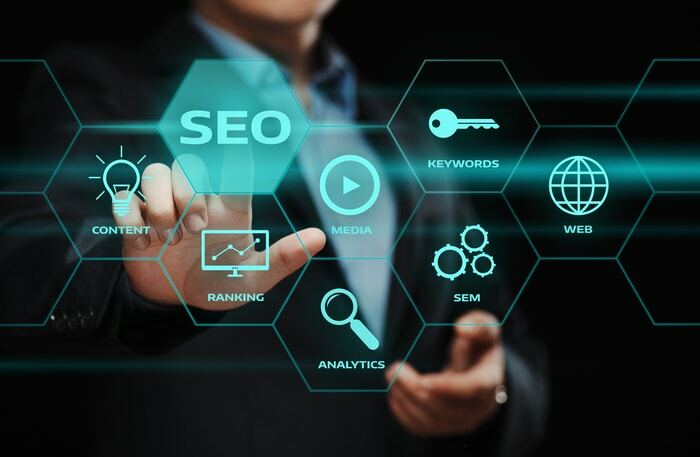 But if you choose “search engine optimization”, this will readily narrow down a customer’s interest and bring to your site only those who are interested in bettering their SEO skills. Like someone who is looking to learn about search engine optimization will probably be directed to this article. The keyword need to be specific to your company or site. One must also take care that keyword are conversational and not very technical. Think of how an average person will search for your service on Google. Quality content, in our opinion, is probably the most important thing to boost your SEO. Regular production of quality content is what will encourage users to come back to your site looking for more. The content on your site needs to be informative, relevant and recent. Most of the people use Google as a search engine and Chrome as their default browser. The people who find you on Chrome and bookmark your page because of the relevant information will help you optimize your search engine results. The bookmarks will up your site in the search engine results and hence boosting the traffic on your site. If you look from the user’s point of view, you wouldn’t want to stay on a site that takes longer than three seconds to load. It becomes crucial that your site loads first otherwise it will face a consumer abandonment in exceptional numbers. Amazon discovered that a second’s delay in loading their site can cost them up to 1.6 billion. You can start making a progress on this front by first checking the actual speed of your site and then optimizing it for the fastest loading speed possible. Work on the interface. Blogging is one of the simplest way you can boost you can get better at search engine optimization. It will help you in producing great content for your site and o it more often. In its natural sense, blogging is very interactive and helps to build a permanent reader base. This base will ensure that your site always has certain traffic and gradually, it will up your ranking on the google results. For more information on SEO, read more blogs at Broad Vision.